Jaguar has launched officially launched the first-ever 4-cylinder F-Type, which made its global debut in April last year, in India. 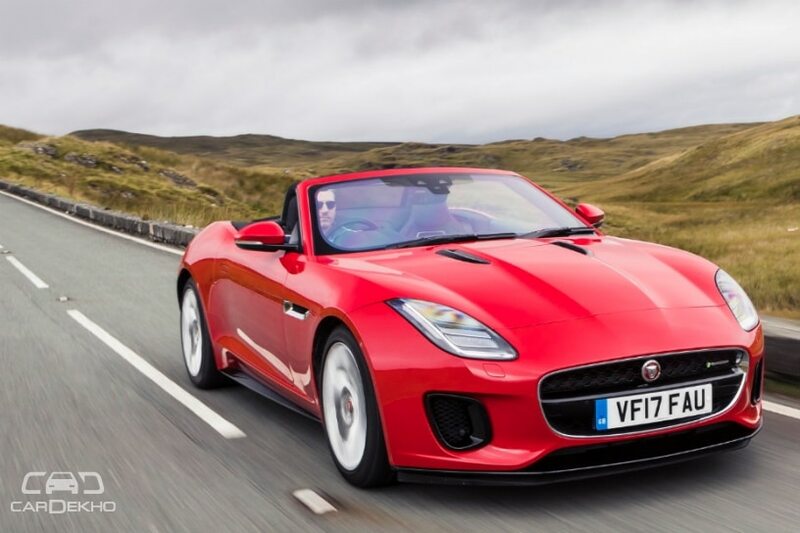 The relatively affordable variant of the F-Type is powered by the 2.0-litre turbocharged I4 motor from Tata-owned Jaguar Land Rover’s latest Ingenium family of petrol engines. Available in both coupe and convertible versions, prices start from Rs 90.93 lakh and Rs 1.01 crore, respectively. Both the coupe and convertible versions of the 4-cylinder F-Type can also be had with the sportier R-Dynamic variant. The R-Dynamic variant comes with larger wheels (19-inch) as standard along with a switchable active exhaust for an even better exhaust note! Compared to the standard model, the R-Dynamic models are roughly around Rs 4 lakh more expensive. The most affordable version of the Jaguar F-Type goes up against the Mercedes SLC AMG 43 (Rs 82.85 lakh) as well as the Porsche 718 Boxster (Rs 89.95 lakh) and 718 Cayman (Rs 85.95 lakh) (all-prices, ex-Delhi).